"Houde's announcement of the new damper says: 'It should prove one of the most important engineering discoveries of recent years.'" Buffalo Evening News. March 13, 1946. In principle, viscous damping had been known for some time. It wasn't until the Dow-Corning Corporation produced viscous liquid silicone in the mid-1940s that it became practical. One of the first applications of the new fluid was conducted by Bernard E. O'Connor, assistant chief engineer of the Houde Engineering Division of Houdaille-Hershey Corporation in Buffalo, New York. O'Connor remarks that the fluid is valuable because of its "inherent stability and its nearly flat viscisity curve which permits constant operating characteristics regardless of temperature ranges or changes." O'Connor's new invention; a torsional damping device where this silicone fluid would permit a free rotating inertia ring to shear through it to convert vibration to heat. Houde Engineering's roots trace back to Paris, France and French inventor Maurice Houdaille (1880-1953). Houdaille revolutionized recoil damping on the French 75 field artillery piece during World War I by advancing the use of hydraulics. Houdaille's pioneering use of hydraulics also transformed automobile comfort in Europe by introducing a rotary double acting hydraulic shock absorber. In 1915, Paul V. Clodio, a prominent American importer of European automobiles began to receive requests specifically for Houdaille's shocks to retrofit onto American made cars. After meeting with Houdialle in France, Clodio returned to New York with manufacturing and selling rights for the Houdaille Shock Absborber in the United States. According to a 1929 company press article, when they hit the American market the "Houdaille Shock Absorbers had given the elite a taste of riding comfort as it ought to be!" Then in 1918, A.B. Shultz, a prominent Buffalo, NY automotive engineer, assumed Clodio's contract and created Houde Engineering with the foresight to meet production once car manufacturers were obligated by consumer demand to make them standard equipment. First came Lincoln in 1923, then Pierce-Arrow in 1925, and eventually the Ford Model A in 1929. 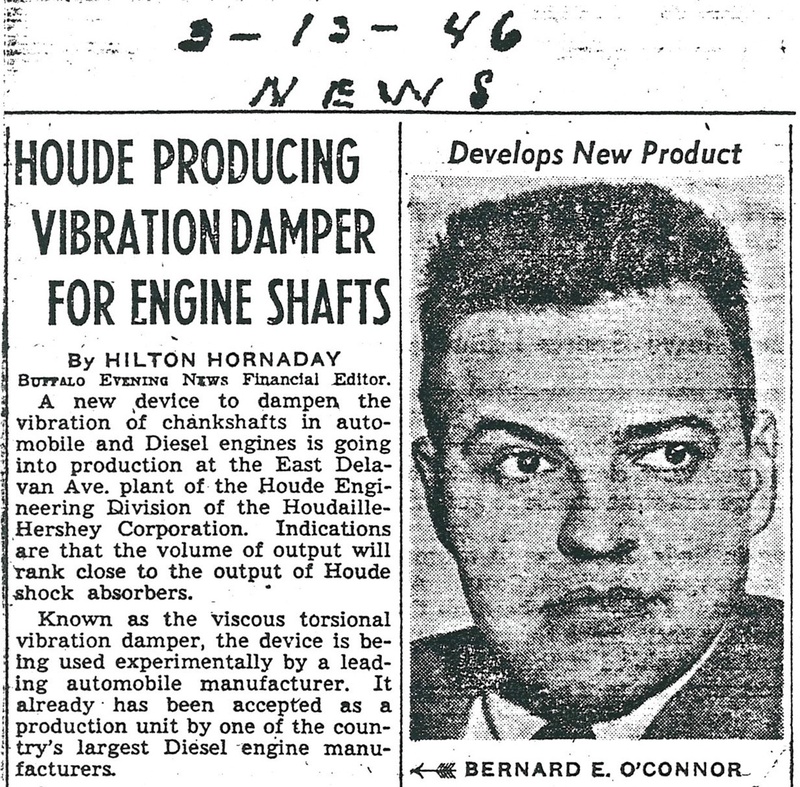 From this heritage now integrated into Houdaille-Hershey Corporation's Houde Engineering Division plant on East Delevan Ave in Buffalo, NY, Bernard O'Connor's new damping device would now address the need for improved, cost-effective crankshaft torsional vibration control. Indications were that production volume would rank close to Houdaille automotive shock absorbers. On May 15, 1946, O'Connor took his new damping device and engineering papers and presented them to a Society of Automotive Engineers (SAE) meeting. 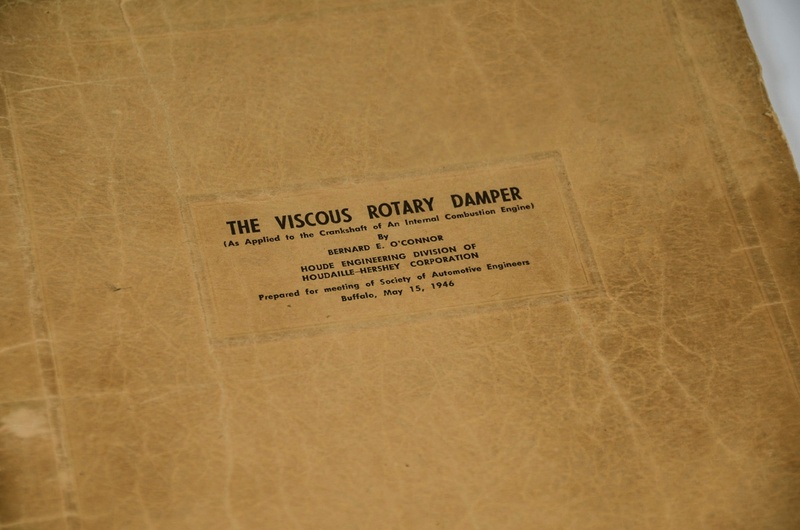 The paper was titled, "The Viscous Rotary Damper. As Applied To The Crankshaft Of An Internal Combustion Engine." Simultaneously, O'Connor's device was being used experimentally by a leading automobile manufacturer. It had already been accepted as a production unit by one of the country's largest diesel manufacturers. They were equal or better in performance and endurance, but much less costly to build than gear dampers or pendulum dampers then in use on diesel engines in the higher horsepower ranges. While more costly to build, they were far superior in performance and endurance to the low cost friction dampers and rubber dampers then in use on automobile engines and low horsepower diesel engines. On February 24, 1947, O'Connor filed for a United States patent ( http://www.google.co.bw/patents/US2514139) on his Torsional Vibration Damper. It was granted in 1950. 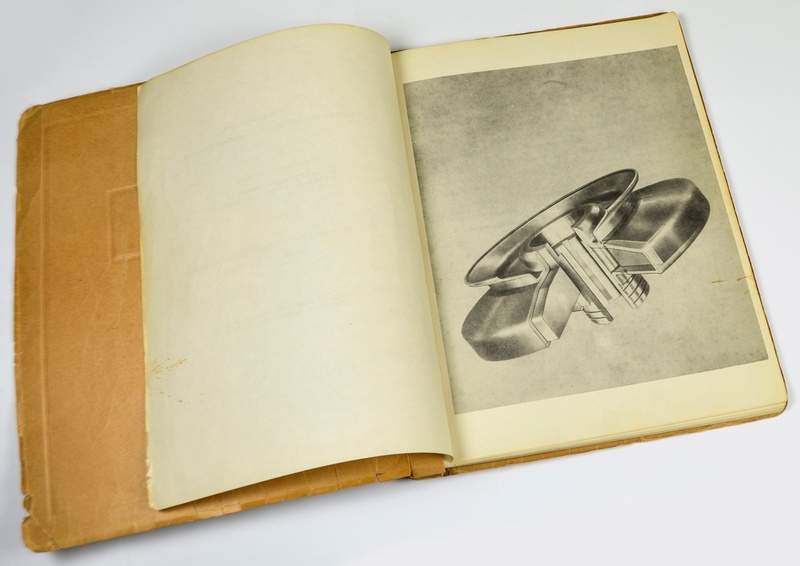 From 1946 to 1973, Houde Engineering - later to be known as the Buffalo Hydraulics Division of Houdaille Industries in 1955 - manufactured and shipped over 1.5 million heavy duty torsional viscous dampers. By 1973, on-highway diesel trucks accounted for 90% of the Division's damper shipments. The mainstream adaptation of the heavy duty viscous damper mirrors the growth of the American trucking industry and its use of the diesel engine. Houdaille-Hershey's patent protection on the basic viscous damper design expired in 1967 and the last of the improvement patents expired in 1975. In 1972, Caterpillar introduced its own viscous damper and a new era of competitive design improvements had begun. Today, 70 years since the invention of the torsional viscous damper, it is more important than ever. As cylinder pressure has increased to meet strict emissions standards and decreased material usage, it has exerted greater torsional vibration amplitudes on the crankshaft. To achieve or exceed durability benchmarks for leading OEM powertrain divisions, Vibratech TVD has continued to pioneer advances and quality standards to the torsional viscous crankshaft damper through proprietary materials and processes. 1968 - Houdaille Industries renames the Buffalo Hydraulics Division as Houdaille Hydraulics after the acquisition of Frontier Industries. Throughout the 1960s the company introduced a rotary actuator, hydraulic motors, aircraft flutter and control dampers, and specialized dampers and buffers for military and commercial applications. Diesel engine torsional viscous dampers remain a cornerstone of the company's business. 1988 - Houdaille Hydraulics is acquired by newly formed conglomerate IDEX. Houdaille Hydraulics becomes Vibratech, Inc. Fluidampr performance dampers for the motorsports industry was introduced in the mid-1980s at the request of professional race engine builders. 2000 - Present. Vibratech, Inc. dissolves in early 2000s. The torsional viscous damper product line, including Fluidampr, is acquired by their acclaimed high precision machining supplier and renamed Vibratech TVD in 2003. Vibratech TVD invests in manufacturing and quality improvements and earns ISO 9001:2008 Quality Systems and Design & Development certifications. The company further advances the durability and performance of the torsional viscous damper. Focus is on collaborating with OEMs to provide torsional vibration analysis of powertrain systems, then developing and manufacturing integrated viscous damping solutions. In 2014, Vibratech TVD achieves partner level supplier status with a leading global heavy duty diesel powertrain manufacturer - the highest ranking recognition by the company. To learn how viscous dampers are advancing today, be sure to read 'Viscous Dampers: Evolving To Meet New Needs & Applications'. To learn more about the importance of the viscous damper in today's Performance Diesel market with commentary by Vibratech TVD blog author, Brian LeBarron in the new DieselArmy.com article: Lessons Learned: Fluidampr Schools Us On Viscous Damper History. Brian LeBarron is a content developer at Vibratech TVD and Fluidampr with works appearing in accredited industry business publications such as Diesel Progress, AERA Engine Professional, Precision Engine, EngineLabs.com and The Shop. Houde Producing Vibration Damper For Engine Shafts. Hilton Hornaday. Buffalo Evening News. March 13, 1946. Houdaille, The Pioneer. Houde Engineering Corporation. Press article, 1929. Vibratech TVD internal document archives. The Viscous Torsional Vibration Damper. A Business Profile - Past, Present and Future. R.P. Jaeggin, Vibratech TVD internal document archives. August 1973. A Brief History of Houdaille Hydraulics 1919 - 1973. Vibratech TVD internal document archives. March 16,1973.